o now that Father’s Day is firmly in the rear-view mirror and Dad has had a chance to drink coffee in his new kid-painted coffee mug, or perhaps even wear the new tie(s) he got, it’s time to let the world in on a little secret. As much as we appreciate the little tchotchkes, and we really do, we dads secretly hold out hope that the Father’s Day Fairy will bring something just a little different next year. These are things we’ve likely tripped over on the internet and inadvertently slipped into an hours-long “dude, how cool would that be?” daydream while we pretend to work. So the next time Father’s Day (or a birthday, or an anniversary, or Christmas) rolls around and you want to do something completely irresponsible for the DorkDad in your life, consider one of the following gifts. I guarantee you you’ll get the wide-eyed “Oh my GAWD! That is SO FREAKING COOL!! !” reaction. When it happens, be sure to get a video and share it on Facebook. The DL44-Blaster from Episode IV. The “Maker’s Movement” has seen a huge rise in hobbyists crafting their own fandom. If you want that movie-accurate iron man armor there are countless tutorials on YouTube to show you exactly how to make it in your own garage. You want to make a classic Star Trek communicator, no problem. Here’s where to get the parts and how to put them together. 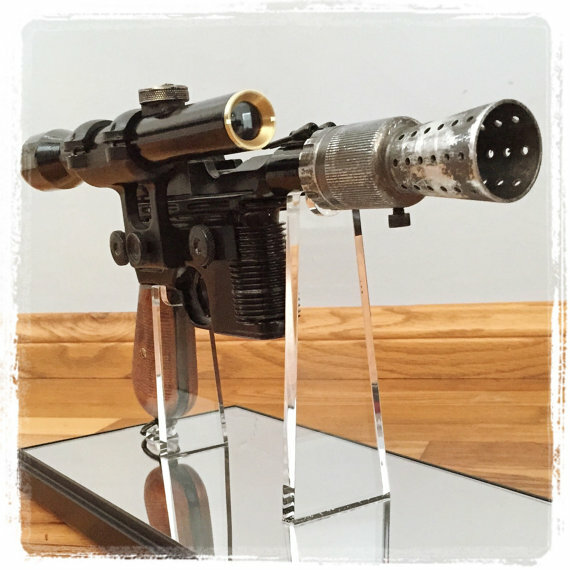 In that vein I recently came across DL44blaster’s Instagram page and instantly I knew “I must have one.” There he showcases photos of the most movie-accurate replicas of Han Solo’s original blaster from the original Star Wars film you will ever come across. 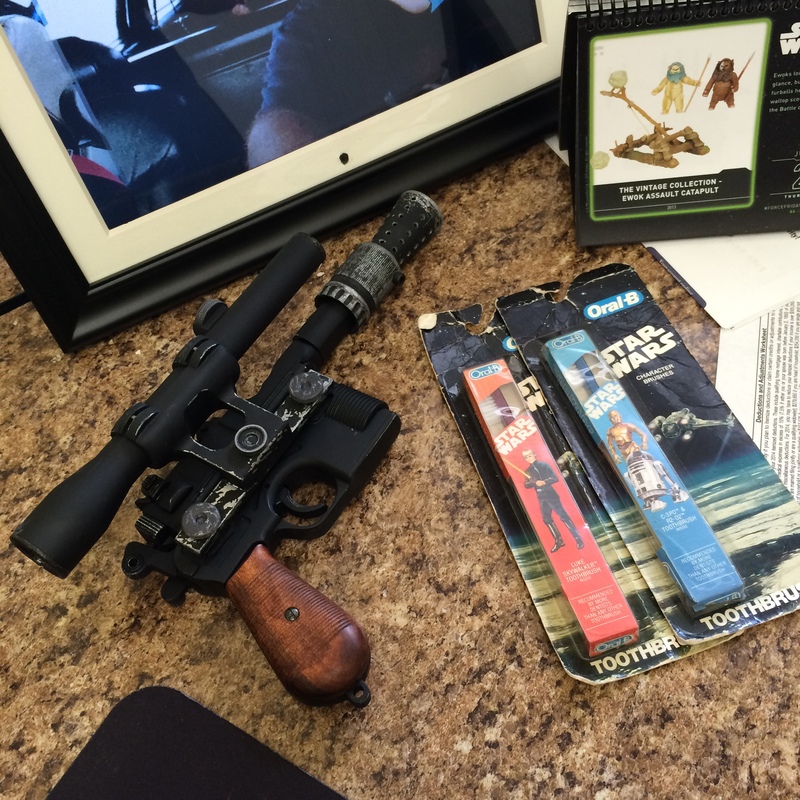 This prop replica may not mean anything to you, but a true Star Wars enthusiast will know it immediately. As opposed to the toys you can buy in the store these are cast metal, so they have some real heft to give them authenticity. They also have a locking hammer and functioning trigger and they feel damn real. Rest assured, they are only cast from the original Mauser pistols, so the external detailing is exquisite, but the barrels aren’t even hollow. They don’t shoot bullets, but I can personally guarantee that the *pew pew* works perfect. DL44blaster himself is a hotel hospitality worker, who builds these things as a hobby in his spare time, and what you realize very early on is that more than quality parts, these prop replicas are made with pure love. Mine sits on my desk at work (I really need to figure out a display stand/case) and it gives me joy every time I look at it. Head on over to DL44Blaster’s ETSY page to see what sort of awesomeness you can get Dad next Father’s Day. And if you’re really interested about how crazy the “Maker’s Movement” can be, take a look at Adam Savage’s one-day-build for the same prop. Let’s be clear. We dads wouldn’t change anything about our lives. We love our families desperately. They are our dream come true. But parenthood can be taxing and you can’t blame us for remembering with fondness the wild-stallion days of years (decades) gone past. If we were wild stallions in our youth, sometimes the drudgery of parenthood can make you feel like that moth-eaten pony at the carnival who keeps going around and around in circles, walking in his own poop. If the DorkDaddy in your life needs an infusion of bad-assness, I’ve got the prescription. 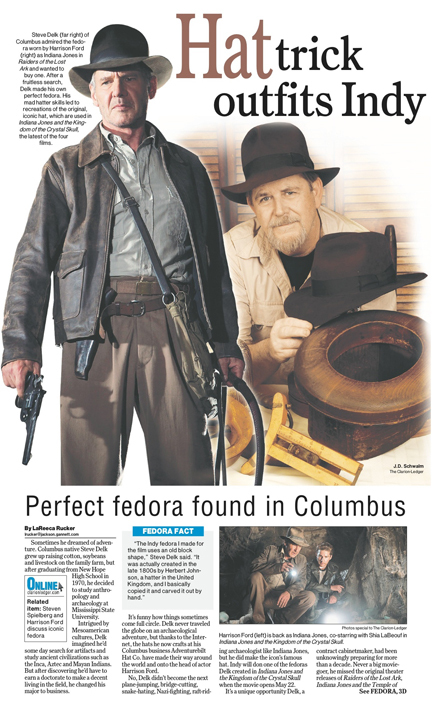 The success of “Raiders of the Lost Ark” and its sequels suddenly made the fedora relevant again. 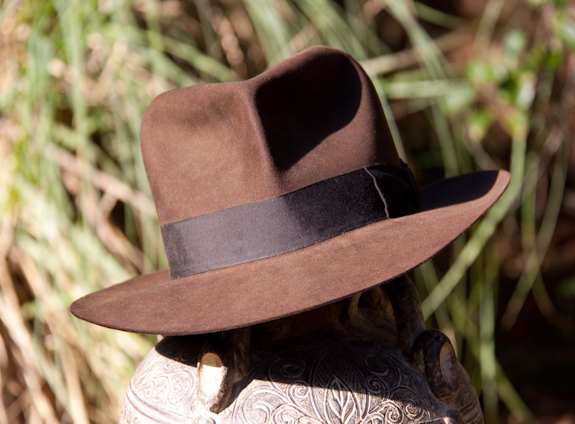 Fanboys could try to get a little of the Indiana Jones swagger by donning a replica brown fedora. But replicas are just that – replicas. Even the ones they sell at Disneyland just never looked right. As it was, the company in England that made Indiana Jones’s original fedora closed down shortly after the release of the original move. There were enough copies of the hat made to get through the two sequels, but the original templates and techniques used for his iconic hat were lost for all time. Over the years one hat maker, Steve Delk of the AdventureBilt Hat Company, became known as the best at replicating Indie’s iconic look. He used tradecraft from 100 years ago (who knew beaver felt was even a thing?) to make an Indie fedora that was without peer. When it came time to select a hat maker for Indiana Jones IV, Steve’s hat was chosen and his hats went from being the best Indie replicas to being the *ACTUAL* hat. Steve lives in Missouri and is still making hats. Each one is custom fit and hand-made for the wearer. In a world filled with assembly-line, factory made, mass produced junk, there is something very magical about putting on something of this quality – even without the connection to Indiana Jones. 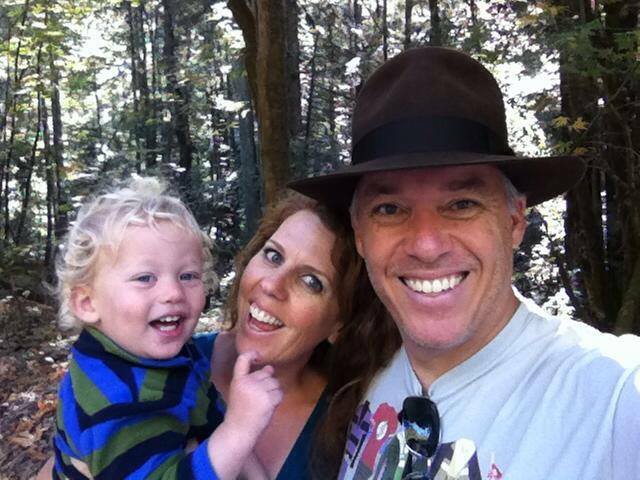 If you think the DorkDaddy in your life would appreciate *THE* Indiana Jones fedora, head on over to Steve’s Website. I promise the Father in your life can’t help but feel like a badass when he puts this hat on. 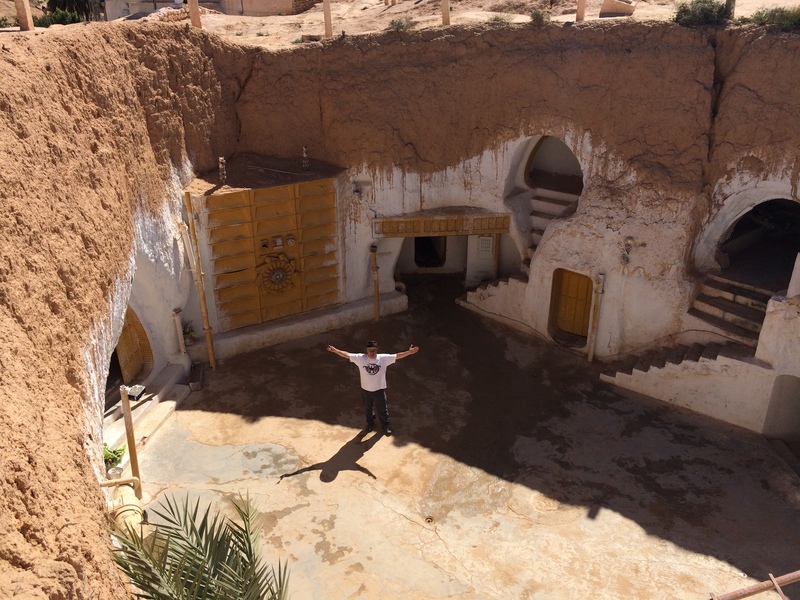 Almost two years ago, in anticipation of my 40th birthday, I wrote this blog post about a group of fans who restored one of the original, most iconic set pieces of the original Star Wars movie way out in the wilderness of Tunisia. I the piece I quipped about how I needed to see these places before I died, how my 40th birthday was the perfect excuse, and lamented about how I had nobody to go with me and actually make it happen. 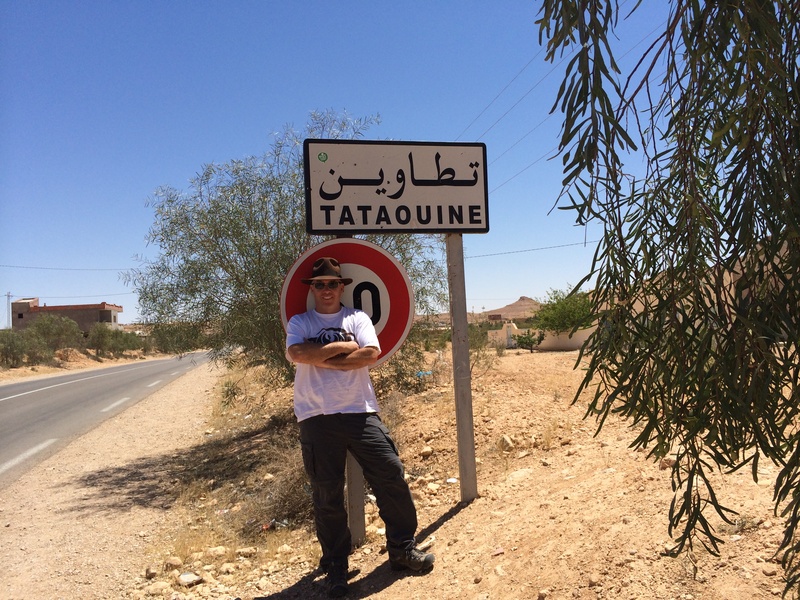 Then my amazing cousin sent me a text message and long story short, 10 months later she and I were walking in the real sands of Tatooine (or Tataouine as the actual Tunisian city is spelled). 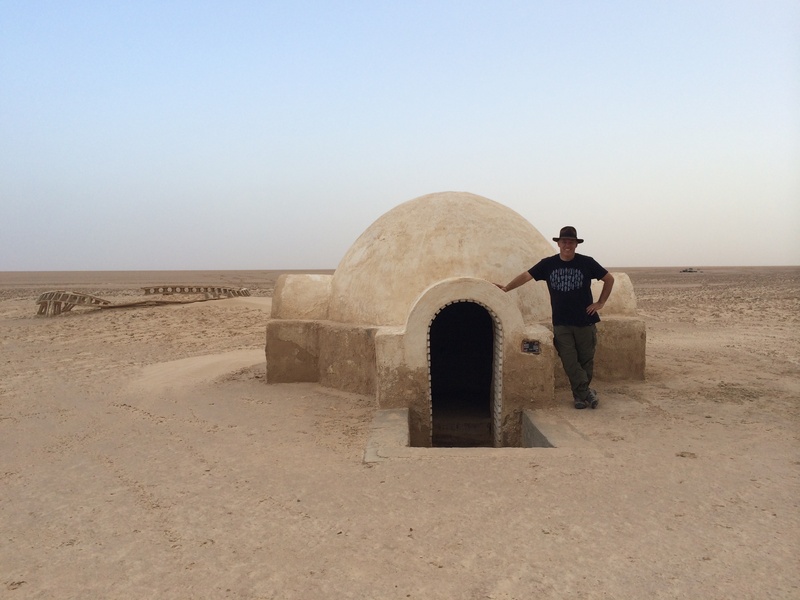 Simply put, if the DorkDad in your life is a Star Wars nerd, there is no holier ground than South West Tunisia. I can’t speak to any of that. All I can say is that Tunisia is an amazing place. The people there are generous, and friendly and my experience there was nothing short of life-changing. Now think about the DorkDad in your life. You have nearly 6 months until Christmas… a year before next Father’s Day. 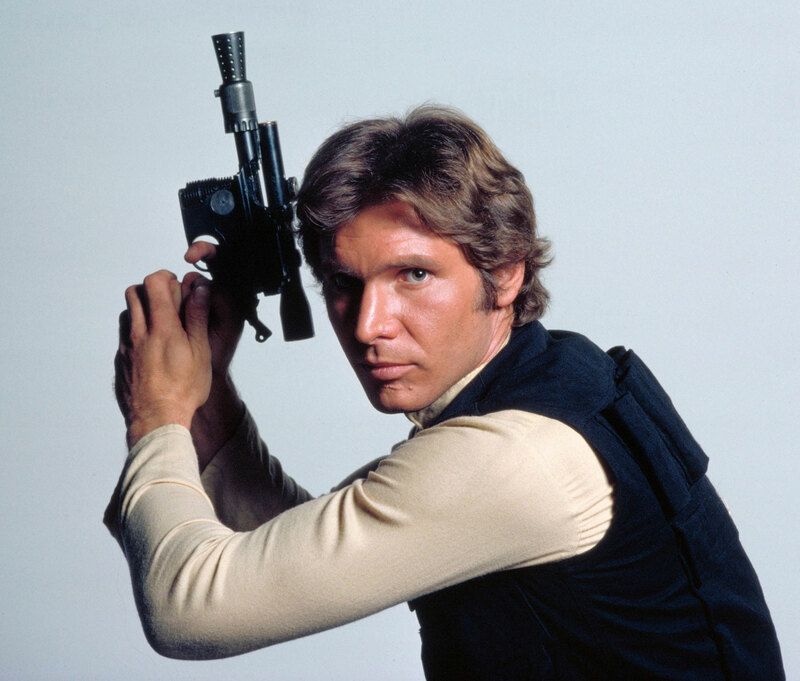 Imagine the look on his face when he opens his present to find a shiny new DL-44 Blaster, authentic Indiana Jones fedora, or plane ticket to Tunisia.